WHAT ARE YOU USUALLY DOING ON HUMP-DAY? Peter, JZ and Grace after a great day at WINDHAM!!! It Is all smiles at WINDHAM MOUNTAIN on Wednesdays!! This mid-week adventure is always a guaranteed great time. It is an amazing trip for beginners because there is usually minimal people flying around the trails. So you can focus on getting down the hill safe and enjoy yourself. Since we almost always have the mountain to ourselves we all take full advantage of the minimal lift lines and run laps together. 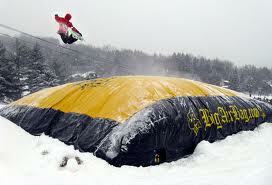 Windham has a wide variety of features for all skill levels and the only AIR BAG IN NEW YORK!!! Who wants to BLAST OFF a kicker and land in a PILLOW OF AIR?? Get your crew together and take the day off!!! 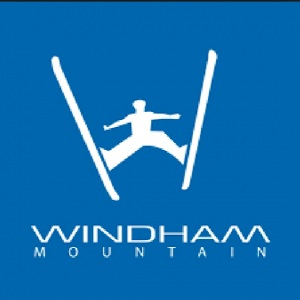 WINDHAM is one of the best trips we have all week, you will not regret it!!! MAKE SURE YOU CHECK OUT NEW YORKS ONLY AIR BAG!!!! This entry was posted in Chris's Blog, Events, OvR Shout Outs, OvRcrew, windham and tagged Windham Wednesday. Bookmark the permalink.